The full prices and positions for Melbourne and aflratings.com.au’s top five potential targets for 2017. Melbourne improved from a fantasy perspective in the 2016 H&A season averaging 393.1 Disposals per game (Rank 4), the Demons averaged 404.8 Disposals in their final 9 games of the year eclipsing 400 or more in 6 of those games. Despite all the high Disposal numbers Melbourne finished the year ranked just 8th in team fantasy points averaging 1614.7pts per game, the Demons were ranked 2nd in Handballs averaging 193.0 per game (Bulldogs Ranked 1st). Max Gawn & Jack Viney were the only 2 players to average over 100.0pts per game in 2016, hopefully Simon Goodwin can increase that number next season. 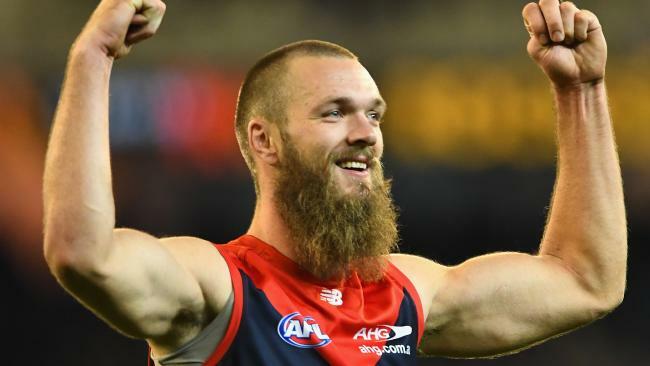 Gawn was mighty in 2016 taking his game to a new level averaging 106.5pts from his first completed full season, there is definitely more upside available as he averaged 116.4pts between Rounds 12-23. Gawn scored 100pts or more at a 68.2% S/R (Strike Rate) and 120pts or more at a 36.4% S/R, both were good enough to be ranked Top 10 in the AFL. Whilst the majority of players struggle to put up decent numbers in travel games Gawn thrived averaging 125.4pts per game, he was Ranked No.1 in the AFL with a minimum of 3 games played. Hopefully Gawn will have a healthy pre-season, there is no reason not to pick him at this stage. Viney averaged over 100.0pts for the first time in his 4 year career from 21 games, his scoring was quite volatile at times but with a decent ceiling he finished with an average of 101.2pts. Viney scored 100pts or more at a moderate 52.4% S/R but that was offset with a 23.8% S/R scoring 120pts or more, he was outstanding in night games averaging 121.0pts per game. Viney is at the right age to be a dominant force in the Melbourne midfield and increase his fantasy value, he will be a definite point of difference that could pay off handsomely if he could eliminate his poor games. Lewis was traded from the Hawks in the off-season to a Demon team on the rise, he may have just found himself in the perfect situation to again put up elite numbers. Lewis averaged 103.1pts for Hawthorn in 2016, he scored 100pts or more at an excellent 75.0% S/R. Melbourne definitely struggled at times last season over handballing during games and were calling out for a leader to take control and re-direct the team when necessary, expect Lewis to be an integral and well utilised part of the midfield in 2017 that should make him a very good point of difference despite turning 31 in April. Tyson averaged 92.9pts from 21 games in 2016 which was a career season high, even more noteworthy was his average between Rounds 18-22 of 120.2pts. Tyson scored 100pts or more at a moderate 47.6% S/R, he averaged 105.7pts in Melbourne wins. Most coaches won’t look in the direction of Tyson to begin the 2017 season with the inclusion of Lewis and development of younger midfield players, but keep an eye out for him in the pre-season to see if his late season numbers continue to hold up. 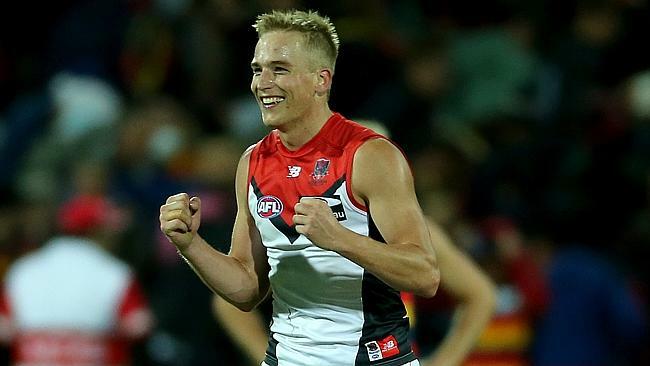 For Bernie Vince owners his late season poor form was very painful to watch, after averaging 101.8pts in his first 12 games Vince averaged just 78.4pts from his final 9 games. There were a couple of reasons for the change in fortunes for Vince, for one a leg injury hampered his output along with the decision from the coaching staff to play him deep in defence in a negating role for the majority of opening halves each game before the pace went out of the game. No doubt Vince is a must watch in the pre-season for positioning, if he is set free again then he could be a good point of difference in the backline as many coaches won’t be interested in his services again. Thought Michael Hibberd may have been one of the highlighted five. 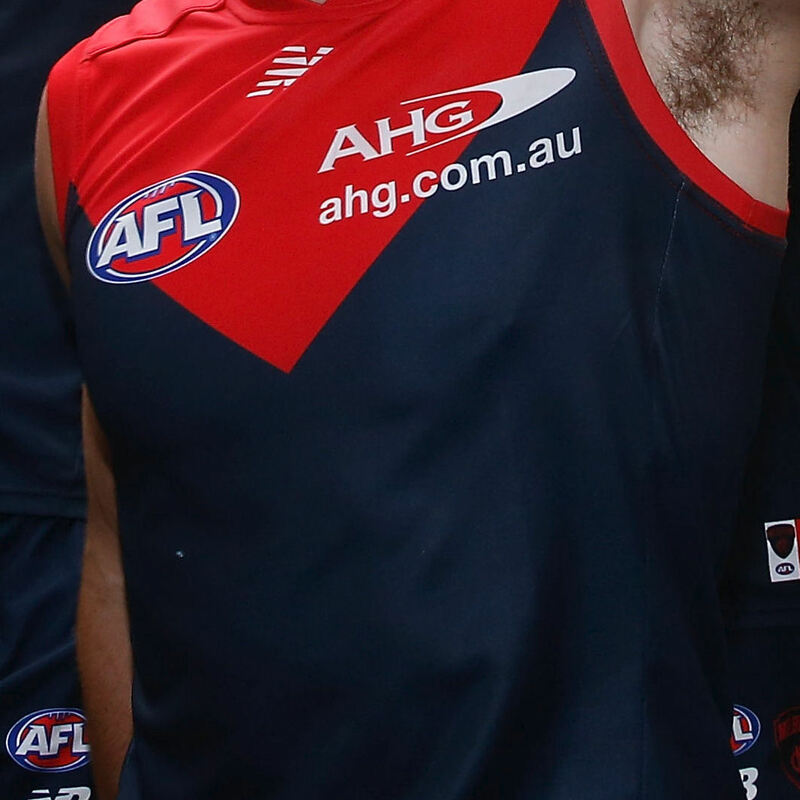 Other than Gawn, he is the only likely Demon for me next year. Jack Trengrove is priced at about 55 points. I think a 20 – 30 point increase is a reasonable projection. It was mentioned in a AFL website post Trengove only played 5 games in the last 3 years.Consistency is paramount if your looking to reach the top of the fantasy community. Was last spotted training with the rehab group in late November. Seems another interrupted pre season for the poor bloke. Hopefully he can come good in his final contracted year. Certainly make or break for him in 2017. In 2016 Smartin was a walk up starter after averaging 114 in 2015, Round 12 average in 2016 was 79 with only 1 ton. Not many saw that coming in fact plenty offloaded him, No ruckman is a guaranteed started as far as I am concerned! And…….Goldstein dropped 17.4ppg from 2015 to 2016! Hibberd and Gawn for me. Gawn finished well given his second half year is technically under priced. No change in demons ruck structure and no third man up so his numbers via extra hitouts may increase because of that. Will start Grundy for exact same reason. Lot of cash but should be set n forget. I think your right wise man.They will only increase their points output.Will it be too much cash on rucs to start the season though?over 1.5 mil with rookie Bench cover. At this stage I’m not starting with Gawn. Last season I started a “Set and Forget” ruck combo of Stefan Martin and Sam Jacobs and they were both crap. I’ll be keeping an eye on Hibberd throughout the pre-season and if he looks good I might pick him up. I really like Jordan Lewis as a unique, I think people have forgotten just how good he can be. Lewis will be down a few points because of the third man up change. But will have a silver service ruckman to feed him instead. Depending what role he plays he could be a handy Pod. Just realised Warnie sounds peculiarly like Dermie Brereton.